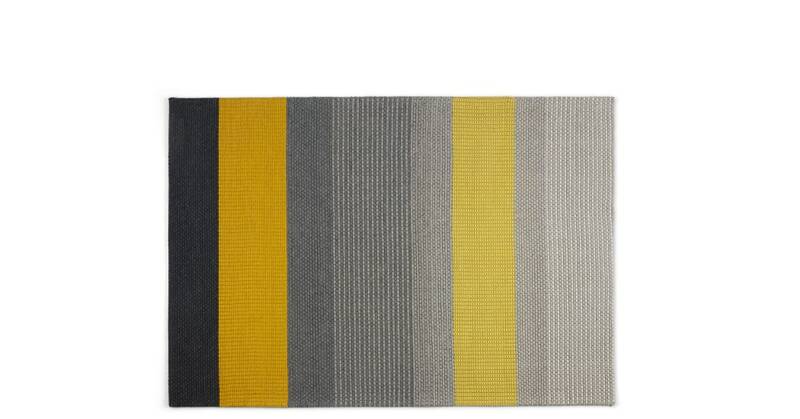 We’ve giving stripes a contemporary update with the Sanlow rug. A future classic, this rug is an easy way to introduce pattern to your living or bedroom space. Crafted from a wool-cotton blend, our Sanlow rug is a sensorial delight for your feet thanks to its plush, contrasting textures. Whether you favour brights or more muted palettes, you’ll find a Sanlow to suit. Choose from the Mustard Yellow colourway to inject colour into a room or opt for understated Teal Blue.